You are going to Watch Fairy Tail 2014 Episode 84 English subbed online free episodes with HQ / high quality. Stream Anime Fairy Tail 2014 Episode 84 Online English sub Tartaros Chapter – 00:00. Kyôka uses her curse power to perpetually increase her own strength while maximizing Erza’s sensitivity to pain and removing all of her senses. 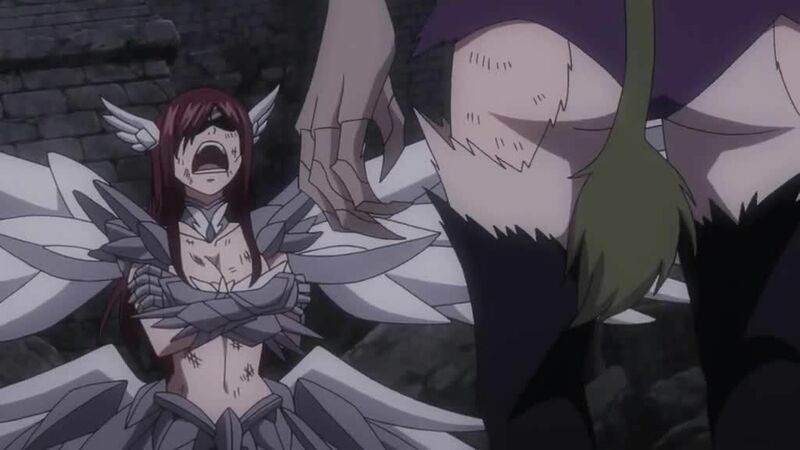 Despite not being able to see or hear Kyôka, however, Erza manages to continue fighting and defeat her, but collapses before she can deliver the final blow. Minerva stabs Kyôka with Erza’s dropped sword, but not before the timer to Face’s detonation reaches zero.